We currently have no rainfall data available for Duluth, GA.
Sharlene runs Get Er' Lawncare, a lawn care company in Duluth. She has completed 492 jobs for 47 LawnStarter customers with a 4.7 star rating. Sharlene does fertilizer application and tree care as well as grass cutting. Kenneth Brown, owner of Task Masters Commercial Services, serves customers all over Duluth, GA. Kenneth has earned a 5.0 / 5 score from LawnStarter customers. Customers describe him as communicative, timely, and professional. Demetrius Barnes is the owner-operator of Lawncare Healthcare, a family owned lawn care provider in Duluth, GA. Demetrius has a 4.6/5 rating. He is punctual, friendly, and communicative. Justin is always professional and on time. If he needs to modify the schedule, he lets me know ahead of time. Yard always looks great when they are done! Would recommend him and his crew to anyone. Devin did a great job. very pleased. Great job. Backyard was heavily overgrown yet was reduced to a perfect cut. Service was fine, but I had so much trouble with lawnstarter at the beginning of the summer, I thought I had cancelled all services. We went so long without someone to come and mow that we had to go get a new lawnmower and do it ourselves. Best decision I made to use this company. Great job on the yard today. We hosted a party this evening and the yard got compliments. Thank you. I wasn't able to add bush trimming service on the app the service was done the last visit and I needed it to be continued. Momo got the job done when I needed it! Looks good, but cut was too short. I was pleased with the services provided by peerless they made sure my lawn was nice clean and professional just the way me and my family like it keep up the good work great job! LawnStarter pros will let you know what your lawn needs. 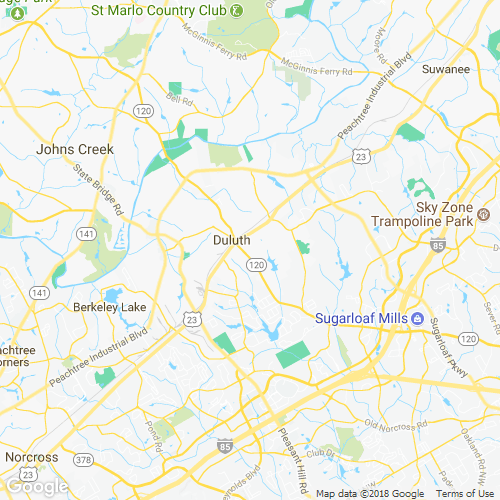 Here are some recent recommendations for extra lawn services in Duluth, GA. Description: Full yard Rake bag. Mulch. use recycling bags leave curb side.. Description: Back yard Clean up bushes and tree along the back side of the back of house. Bring back to Natural landscape beauty. Clean out debris found under shrubs. Description: Right side Trim bushes on one side of house. Serviced by: Herrera's Lawn Treatement And Landscape Inc. Items Needing Service: I have six bushes that need to be trimmed. Work to be Done: I would like the front yard and back yard mowed. The bushes in the front yard to be trimmed. Work to be Done: Set timer for sprinkler system. Items Needing Service: Wondering if you can help with me those two spots I asked about last time. Thanks! Items Needing Service: Pull grass from mulched area in front of house and trim bushes in same area. Location on Property: Front. Left of door when looking at front of house. Great job. Very thorough and hard worker! Thanks! The yard looks much better after Justin came by, I definitely recommend him. With over 19 years in business, the Lerma's Lawn Treatement brand was built on being meticulous and dependable. They provide lawn maintenance, pest control and grub treatment in Duluth and surrounding areas. #6-Herrera's Lawn Treatement And Landscape Inc.
Great job I meeting hem today. Very nice guy. Thanks again for the great service!!! See you in two weeks. Great cut, timely, and professional most of all! Fir Lawn And Garden is owned by Vilfredo Scott - one of Duluth, GA's top landscaping experts. Need leaf removal, lawn service, weed spraying or something else? Look no further! Amazing job!!! Thank you so much! I hope you can come back on the next service!